They describe the situation as this. Auckland’s transport system is under pressure. Peak traffic congestion is rapidly extending into commercial and recreational periods, undermining competitiveness and liveability. Public transport is increasing, but not fast enough to reduce pressures on the road network. Auckland and Central Government are reviewing transport plans through the Auckland Transport Alignment Project to identify how better outcomes can be delivered. But the transport programme is only one part of the equation. 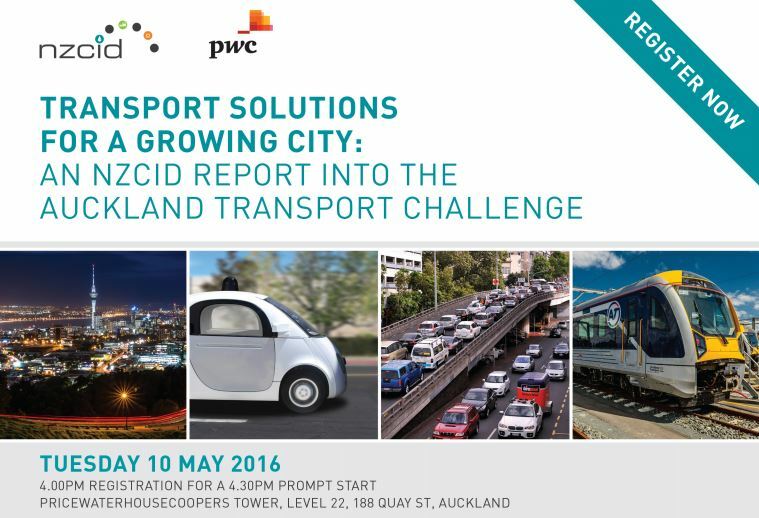 Learn how the city can turn around Auckland’s transport outlook by expanding the capacity of the network and improving the alignment of demand, growth and investment. While we’ll have to wait for their report to be released, they’ve already published this video which gives a hint at the direction their report will be taking. They want huge investment in building carparking buildings at busway stations. 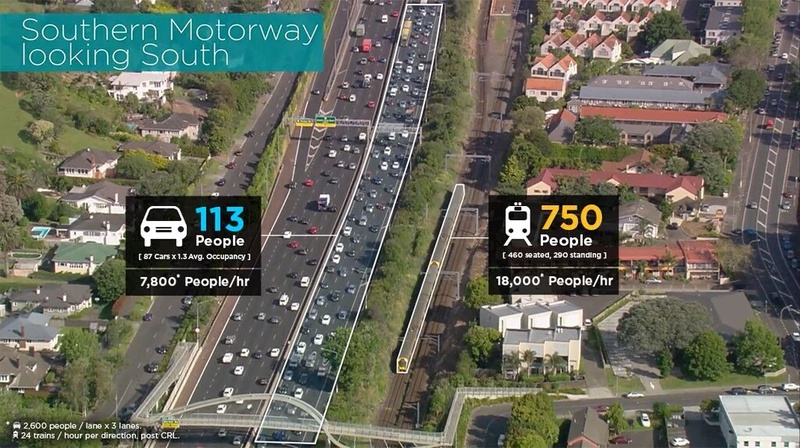 This would cost at least $30,000 per extra carpark (excluding land costs), and even now the busway carparks account for less than 50% of the trips from those busway stations. If you built 1,000 carparks for $30 million, the interest costs would be $6 million a year, but it would only add around 500,000 extra PT trips. $12 per trip is an expensive way to grow patronage, and we hope Auckland Transport has better ways to spend its money than that. They say the busway is empty and want trucks, vans and high occupancy vehicles to have access to the busway – either for free or a charge. This was presumably also before the government’s announcement of allowing electric vehicles on the busway too. It’s worth noting this from the NZTA’s post implementation review of the busway in 2012 – and the busways got busier since then.. It appears doubtful that following the success (and increased frequencies) of the bus operation any significant amount of HOV use of the existing busway could be achieved without negative impacts on bus operations (5). There are a number of sniping comments at cycleways such as Lightpath where they say it “carries few patrons”. This is despite the fact you can see at least 5 people on it, the same number as using the using the motorway off-ramp. Later they also make similar snarky comments about the NW cycleway over the SH16 causeway. In talking about rail they make a basic error, saying that the Auckland Plan envisages rail patronage doubling from 70 million trips a year to 140 million. This is actually total patronage including buses too. They then go on to say that PT isn’t enough so a “significant increase in road capacity will be needed”. There is no talk of delivering a true regional rapid transit network. Of those #9 sounds remarkably similar to our April Fools day post which we even called the “Eastern Ring Route”. Could our April Fools joke become a reality? In some ways that’s not a surprise as that April 1 post was based on what we’d been hearing for some time. They’ve said before that they want AWHC to connect to the east of the city to join up with Grafton Gully. We’d also heard for some time that they’ve wanted the Eastern motorway back on the agenda and that to get around the issues of the residents in the east who scuttled the last attempt over a decade ago, that they’ve proposed it be tunnelled all of the way to Glen Innes. Combining these two projects together would result in a tunnel of around 14km in length and that also doesn’t include how it gets from Glen Innes to Papakura. The cost of that corridor alone would probably build and entire regional rapid transit system and still have change to spare. We’ll have to wait for the report to hopefully be made public to see just how bad it is but based on what we can tell so far, it doesn’t look like it will be good. Given they’re also a stakeholder on ATAP I assume they’re probably pushing these ideas there too. Does the train really have 750 people in it or is that just BS? I would be very surprised if that rail line is carrying 18,000 people per hour given the whole system carries around 43,000 per day. 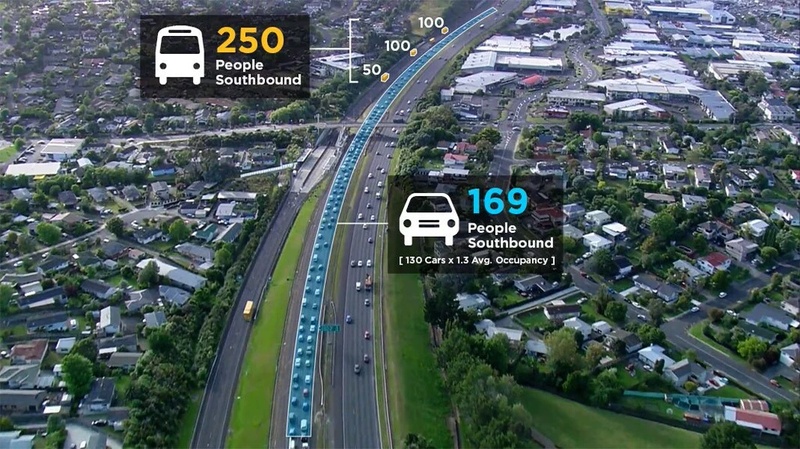 That one probably doesn’t as it’s going the other way to the bulk of the motorway traffic, but at the morning peak, a Papakura-Britomart six-car se there would almost certainly be full. Mine this morning was maxxed out from Ellerslie. The point of the graphic is to indicate the potential carrying capacity of the two transport modes. I doubt that it is intended to be taken literally. Yes. PT is always promoted on the basis of its potential. The reality is usually something quite different. As they say “in theory, there is no difference between theory and practice – but in practice there is”. lol …My train is completely standing room only and people are left standing at some stations on many mornings the closer you get to Britomart. Not really, the realistic potential occupancy of a car at peak times averages 1.3. Its horribly, excruciatingly hard to get more than that despite decades of trying to promote carpooling and the like. Conversely the realistic potential occupant of a train at peak times averages something like 6-700, given that right now at peak times we do fill up six car trains. Much like the motorway, the conditions on the trains don’t necessarily last an hour – the traffic is often only that bad for 15 minutes. As a daily train user on the southern line, and an ex train passenger surveyor, I can confirm that absolutely there are trains with 750 people on them, often 3 in thirty minutes at rush hour. The 7800 and 18000 values on the diagram represent capacities, rather than actual flows. 7800ppl/hour on 3 motorway lanes is a maximum capacity, under best flow conditions, known within Transport Engineering as ‘ traffic condition C’. This motorway is more congested than condition C; it will be D or E, where flowrate actually reduces. Therefore 7800ppl/hour is likely an overestimate. – The trains are currently carrying people far more space efficiently than the motorway, and is carrying a significant proportion of the corridors users (my estimate is about 50% at peak – does anyone have any stats on that?). – The Corridor will have plenty of capacity for people to travel quickly, once the benefits of the city rail link allow for more frequent trains and allow the line to serve a greater catchment. The common graph shows flowrates decreasing at higher LOS but the reality is that doesn’t actually occur. I think the background was the graphs from New York parkways showed the impacts of downstream bottlenecks that reduced flow and that made it into the Highway Capacity Manual. (Only six points made up that part of the graph!) The Canadian data that went into the HCM didnt show that ocurring at all. If you look at Austroads you will see they always use a higher maximum service flow for Los E than for C and they say F is variable. The answer for LOS F is that the service flow is the bottleneck flow at the bottleneck itself. Upstream of the bottleneck the capacity is still the bottleneck capacity by definition. So when you see that hook graph take it with a grain of salt. Note the lower left corner of the image – figure is post-CRL. You are right, I think this graphic is a bit misleading, not to mention at train currently passes every 10-mins whereas the traffic flow is consistent. Currently very few Southern line 6-car trains would be full to the 750 capacity, although the one I was on this morning had a significant number standing so 500 – 600 wouldn’t be unrealistic. It is however realistic that these trains could reach capacity at some point and the frequency could also be doubled, whereas it is not a realistic prospect to have all of those cars filled with 5-people and grow the capacity of the motorway without adding lanes. They aren’t very complicated when it comes to releasing stuff. A (very) quick glance across this and their assessment of a lot of areas is pretty on target – the Unitary Plan failings and all the new housing going in right now will just make Auckland more auto-dependent. Of course, it’s an appalling outcome to me, but they are not incorrect. Until we stop sprawling and start intensifying on rapid transit lines (that is, after we build those rapid transit lines) then we need to build capacity on the roading network. What megalomaniacal lunacy. These are unneeded additional connections for places already connected; and at how many $billions? Wow. They show the 1965 De Leuw-Cather motorway plan, but not the 1965 De Leuw Cather public transport plan (which De Leuw-Cather essentially stressed had to be implemented first). If Auckland had had the railway plans of Hiley, Coates, Merc-McLelland, Halcrow-Thomas, De Leuw-Cather and Robbie, etc., built over the years, we wouldn’t have any of the problems identified in this NZCID report because development would be more compact and rapid electric rail lines would criss-cross all of the urban area/s, being within walking/cycling/feeder bus distance of everyone in the metropolitan (and possibly regional) area. The reason the problems identified in this NZCID report exist today is because the policy shifted to motorways, which is also what this NZCID report proposes, again. When will they accept that cars were a 20th century invention, and should have stayed there. Build more roads, create more congestion, a less healthy population, a badly humoured citizenship. I understand that these projects keep the money spinning around in the washing machine, but at some point reality has to kick in. Auckland will never escape it’s “big town” reputation with so many backwards ideas (Reading Palomino yesterday made me rather xenophobic for a moment, send that gringo home!). This new thrust by the council for cycleways and real transport has been amazing, I had been off my bike for years but when Light Path popped up I ran out of excuses and now commute all but daily. Anyone who does similar will understand how relaxing it is, how superior one feels, and how good one’s legs look. I admit to being slight extremist in my anti car views, but they are a very selfish machine, and smiling cyclists are so much more pleasant at half past seven in the morning. Vive le bici et le PT!!! Nothing wrong with the car. Mine was very handy for three of us heading out to one of our great regional parks over the weekend with the kayak on the roof, on the other hand it’s hopeless driving it around at times everyone else wants to drive, therefore I catch the train to work. #11 Work on safe cycleways and walking around all schools. Should lead to a massive drop in school run congestion. Yes congestion during holidays is minimal. I often drive (when not taking PT or dropping Mrs at Bus) through an area that has some of the highest levels of Asian ownership (80%+) and traffic is completely non-existent during holidays but is the worst part of the entire drive during term. You see virtually every single driveway with a huge tank of an SUV dropping the little emporers (or not so little teenage ones) 5-10 minutes walk up the road at school (the drive takes longer than that because they’re all doing it). I’m sure it happens all over the place but this is my personal experience which is one of the negative things about our high levels of immigration (particularly from Asia) as they seem to be more inclined for one reason or other to drop the kids off rather than making them walk/cycle. I don’t think what you are describing here is unique to immigrants or particular ethic groups. You don’t see many kids in South or West Auckland getting dropped off by comparison. It seems to be some sort of status symbol (the I can drive a big flash tank of an SUV with the little emporers in it mentality). Future proofing to adjust transport of the Auckland Region to the linear city type development program the council has created. Auckland council is subsidising sprawl in the outer regions (Warkworth, Silverdale, Kumeu, Pukekohe) and constricting Auckland City. To accommodate this new growth will require additional pathways through the old city, making connections between the exurban high growth areas. The growing exurban car centric population will need the additional car parking spaces at the bus stations to be made available, otherwise the full brunt of their cars will be placed on the transportation corridors. Robust civil infrastructure growth is required. – The misleading inference here is that Public Transport can seemingly never increase fast enough to obviate the need for Moar Roadz. But why hasn’t public transport increased faster over say, the last 50 years? – Answer: because the city and government have deliberately held it back by starving it, preferring to pour vast sums into roads which NZCID correctly acknowledges are still inadequate. There is nothing inherent or unachievable in properly-funded and properly-prioritised public transport that would prevent it from adequately reducing pressures on the road network, sufficient to remove the need for yet more major road building. Many major world cities demonstrate that public transport can achieve far higher mode-shares that it does in Auckland – simply because of appropriate policy. https://en.wikipedia.org/wiki/Modal_share There is huge scope for Auckland to use Public Transport to bear more of the city’s transport-burden. 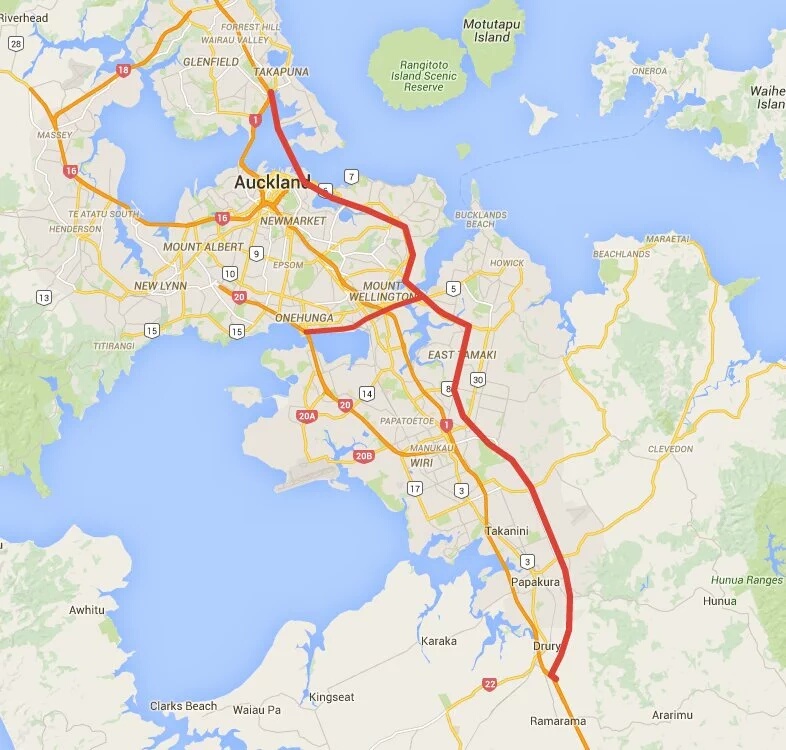 Auckland’s limited rail-corridors make a big difference where they actually run. Imagine if the city had been provided with many more, delivering benefits much more widely. This is the developmental vision NZCID needs to get hold of, instead of being blinkered by the results of our historical failure to back the right policy. That Wikipedia article is really interesting. Beijing, for all its pollution issues, still has better PT modal share than Auckland, not to mention walking and cycling. I would have thought the NZCID would find rail projects to the airport, North Shore, a 2nd CRL and maybe even a south-eastern line quite exciting. They’ve taken infrastructure to means the same the the government believes it means which is roads. – Wow, that traffic congestion looks even worse when you get an aerial view. – Is it not possible to increase frequency on the Northern Busway, it does look a little light (or was it edited that way)? – Crikey, there IS a lot of empty land in Auckland that could be used for housing – why are we saving Hamblins Hill (opp Sylvia Park) as a reserve? Who uses it, and where is the access? – Yes, that 2 lane ‘motorway’ stretch next to Sylvia Park is stupid, as is the claim that changing it to 3 lanes will just shift the bottle neck somewhere else. – I’m in favour of the Eastern Arterial, but given the way NZTA are going lately I know it will just be 2 lanes in either direction and useless. – Why is there 3 minutes of ‘black’ at the end of the video? No, I just assumed the final 3 minutes were black. Maybe there was a hidden secret message 2 minutes in from the end? I gave up on expecting much rational thinking from any proposals from CEO Stephen Selwood long ago. Note that the video is big on graphics but lacking in the presentation of measurable data. Furthermore, I am not sure that the general public realize that NZCID are merely a relatively highly membership funded lobby group and their view should be seen for what it is and discounted accordingly. NZTA and AT and the government themselves must be very careful not to get into ‘bed’ with this organisation – they certainly do not have the best interests of the taxpayer in mind. They might be right about rail not being able to cope. The trains I have been catching between 7 and 7:40 am on the Southern line have basically been filled to capacity at manurewa. Not sure if this is an aberration or the way things are becoming. I wonder how the southern line will cope with the Otahuhu bus interchange passenger load. Will we need people on the platform squeezing us in? Yeah well, that would be the “we could have bought more trains at the original price but decided not to” problem. 1. Transit (current and future) and housing (Unitary Plan, further flung suburbs, intensifying far away from rapid transit) are not in alignment. 2. Population continues to grow away from transit. Their conclusion is that more roads will be needed to address this gap. They are not wrong. The question they have not asked is: can this be fixed? It can, of course, be fixed – by beefing up the Unitary Plan (ie intensification and new builds should align with transit), massive spending in improvements to transit and disincentives for long commutes. Do I believe that AT/Auckland Council (and their voting base) and Central Government/NZTA can address these issues? Something has to change, fundamentally and soon, otherwise this report is spot on – we will need a hell of a lot more roads, rightly or wrongly. You will notice that these days the right-wing politicians are actually saying they’re in favour of dense housing [only] around train and bus terminals. I find it interesting that the debate has moved far enough that they say this, whereas 5 years ago they would not have spoken positively about dense housing anywhere. Alternatively they could just implement the congestion free network proposed here? Just you know putting that out there. A note on park n ride at the busway. Currently there are 1,550 park and ride spots on the busway from what I understand. Meanwhile there are 11,000 inbound trips on the busway proper per day, and a total of about 20,000 inbound from the North Shore over the harbour bridge. So park and ride supplies about 15% of busway trips, and about 8% of North Shore trips. The other 80-90% arrive by bus, foot, cycle or drop off/pick up. I’d posit this is a tactic to get locals to agree to the idea of a new motorway. And once they’ve agreed to the idea in principle it will be difficult to then argue against it when the prohibitive cost of a tunnel means it won’t actually be a tunnel but a ‘traditional’ motorway that gets built. Yes, you and I may say it would be easy to argue the goalposts have been switched, but those skilled in the Dark Arts of Spin will say ‘you agreed to a sports field, it doesn’t matter what the goalposts look like’. What happened to getting the bus to the busway? The likes of Wilson or Tournament are free to set up business if there is so much demand. I don’t want to see council subsidising it. I assume there are already bicycle parks? Because my friend when you take extra PT options to get to other PT options you will spend all day on transport just to get somewhere simple, like work. Think how long it would take if you have 2 or more connections just to go 10km?? If the connections are organised sensibly (something that seems to be much easier to do if transport works in a Teutonic or Eastern rather than Anglo-Saxon way), not much longer than a through journey. What is it about the Anglophone world that makes it such an uphill struggle to deliver optimal public transport? How come the continentals are in general so much better at it? And why are we so unwilling to learn from them how it’s done, and adopt their practices which are proven to work? The wait time for your connecting train/bus at the train/busway station is independent of how you arrived there. Trains and buses don’t show up quicker for people who drove to the station than they do or people who caught a bus to get to the station. On a frequent network this wait time at the station is going to be marginal anyway. What would need to be looked at is the time comparison between catching a feeder bus from a stop a couple of minutes walk from your house to the nearest network station and driving to the said station. Remembering that time taken to park the car and walk to the station platform needs to be added in. If there is a frequent connector service and bus priority on local roads then I think the time taken to catch a bus could be quite comparable to driving. Now would it be fair to say that implementing and subsidising a frequent bus connector service would be cheaper than building large and expensive park and ride infrastructure? If so then this would likely provide much better value for money, potentially attract and capture a larger pool of users than park and ride would, and would reduce traffic/congestion on local roads. I know nothing of this lobby group and I smell a right wing rat when they pop up like this but I do agree that leading edge intelligent traffic management systems would do the world of good if that means intelligently controlled traffic lights throughout the city Having traffic light controlled intersections that oppose the next intersection or let though minimal vehicles per phase or just change randomly because they can is one of THE major reasons traffic is so awful in Auckland (apart from far too many cars). Their real lack of emphasis on genuinely improving PT does give them away a bit though, probably another “Taxpayer Union/Kiwiblog” outfit! Quite clearly they are not a political outfit, being made up of representatives from council, banks, construction companies and engineering consultants. Yup, the council is so anti car and pro PT that it’s planning to spend over twice as much capital on roads (used primarilly by cars) over the next 30 years than on PT – $17.7b against $7b. They’re a lobby group made up primarily of people associated with the building of infrastructure including construction, consultancies and PPP lenders. Their aim is to push for more stuff to be built which in turn benefits their members. Why in NZ do we blindly accept these blatant conflicts of interest and not laugh them off as would happen in more clued-up countries? A group representing companies that build roads wants to build more roads? The huge inherent conflict of interest should result in their report being ignored, regardless of the merit of their ideas. But no. Their views are treated as perfectly legitimate. Their ‘moar-roads’ views are only treated as legitimate because we have a government that thinks the same way and sees through the same blinkers. The Clark/Cullen government would have probably have given them short shrift. And hopefully in 17 months time we will change to a government that once again resists the pressure to squander massive resources on economically inefficient roading schemes. Don’t forget the Clark Cullen government built the Manukau motorway, Mt Roskill motorway, Onehunga motorway bridge, upper harbour motorway and most of the planning and work leading to the decision to build the waterview tunnels. There was probably also other motorways in Tauranga, Waikato and elsewhere. I think we have a slightly rose tinted view of the Clark-Cullen government when it comes to transport. They really got the ball rolling again with motorway building and took a full eight years before they eventually agreed to partially fund rail electrification. The more roads view is only treated as legitimate as the general public is either in support of these projects or ambivalent. If wasting $1B on the East-West connection or $5B on a harbour tunnel were seen as vote losers they would be gone by lunchtime. @ jezza You are right the general public seem to be much less critical of road projects than they are of most other things the government spend money on. As an example spending 20 million on trying to change the flag was highly criticised. but if the government announces that they are going to spend 10x or even 100x that amount on a road hardly anyone bats an eyelid. I don’t get is why the Auckland Council and other Govt departments are paid up members. Nuts. They are in the business of building stuff too. @Matthew W more importantly the Auckland Council are in the business of spending money wisely. You don’t get that by paying a subscription to a lobbying organisation so they can tell you to build as much low quality infrastructure as possible. I would struggle to say this council spends money wisely. I agree however they should not be paying a subscription to this group, nor should they be paying any money to Bike Auckland which has had $80,000. They should stick to what they need to do and that is not paying lobby groups from either side. Still banging that drum Phil? The Council has never paid any subscription to Bike Auckland. They have paid them in the past to consult on bike infrastructure, in much the same way that Council has no doubt paid members of NZCID to get their expertise too. There is a significant difference between hiring NZCID’s members and paying to be lobbied by them, however. Elephant on road: car-width for single-occupant drivers is more than double the width necessary. It’s essential for all large cities serious about mitigating traffic congestion to acknowledge the enormous design flaw and create competitive programs to build and drive single-width cars. Or scooters, something you can see in action in Asia. It’s a bit weird how you almost make it sound like it’s a new idea. On one hand they’re efficient users of road space. 50 of them can go through a green light in the same time as maybe 3 cars. On the other hand lots of scooters means lots of pollution. Motorcycles, please no. The traffic noise will be absolutely debilitating. There are 200 million electric bikes currently in use in China. Thankfully for the whole planet. not once in the video is there mention of carpooling or education of using one car for multiple people to get across a city. surely that should be high on the list of things to do. single occupancy for the entire journey and even to the park and rides changed to multiple could vastly improve the use of our current network. its rethinking the capacity before installing more capacity. plus community outcomes of knowing your neighbours, lifestyle improvements, personal cost reductions, the list goes on.